Climbing to the summit of Mount Everest—the highest point on Earth at 8848m above sea level—requires human beings to endure some of the harshest possible conditions and definitely counts as an extraordinary achievement. A successful ascent demands tremendous physical stamina and strong willpower. For Xia Boyu, a sixty-nine-year-old Chinese national who successfully reached the peak in May 2018, this was only part of the answer. What makes Mr. Xia’s story different is that he has no legs. He hiked Mount Everest on prostheses, in a clear example of how technology can supplement solutions where good will and good hearts just are not enough. Leaving high altitude alpinism aside to consider the realm of employment potential for people with disabilities, there is substantial common ground with Mr. Xia’s story. What was deemed impossible for a person with constrained physical or intellectual abilities a decade ago is now an afterthought across many workplaces that hire people with disabilities. With custom-made, built-to-suit semi-automated machinery or tools, people with autism, down syndrome, severed limbs, or eyesight impairments can produce high-quality output—at a reasonable price, good quality, and safe from any harm. With custom-made, built-to-suit semi-automated machinery or tools, people with autism, down syndrome, severed limbs, or eyesight impairments can produce high-quality output—at a reasonable price, good quality, and safe from any harm. Image courtesy of The Inclusion Factory. 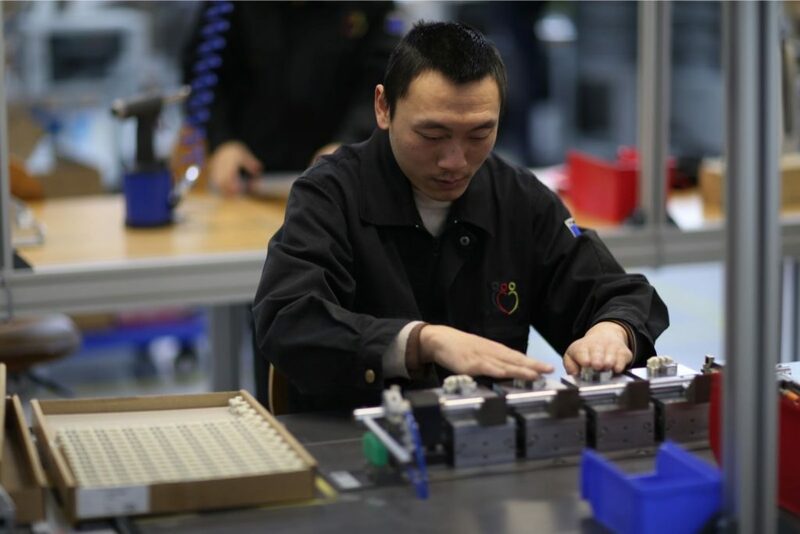 Established in 2014, the Inclusion Factory in Taicang, China emerged when a handful of German companies from the various industries created what was then arguably the pioneering workshop in China to hire only people with intellectual disabilities for industrial manufacturing purposes. Five years later, what once seemed like a pilot and a brave idea is a well-established business, producing complex components and technical solutions and acting as a trusted supplier even to blue chip engineering companies with long corporate histories. Some call it responsible supply chain, but for many of the individuals involved in the Inclusion Factory, it is the evolution story for an ordinary, technology-enabled business. What makes this initiative and similar efforts around the world possible is the strong commitment of social experts on the one hand, and exemplary engineering efforts on the other. Poka Yoke electric or pneumatic machinery solutions enable people with physical or intellectual disabilities to independently and efficiently perform tasks that would otherwise be very difficult or even impossible without the use of custom technology. 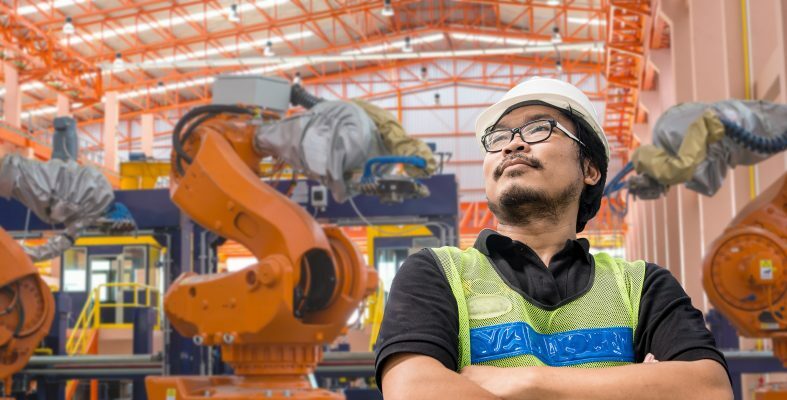 Recent improvements in smart technologies, including smart gloves, smart working stations, smart production floors, augmented reality for manufacturing, among others, take the trend a step further—enabling the completion of ever more complex tasks at greater operating independence of the otherwise challenged workers. A particular boost in the efforts of the Inclusion Factory was given by SAP’s Social Sabbatical team in Shanghai. The SAP Social Sabbatical initiative is a portfolio of pro bono volunteering programs where highly diverse teams of SAP employees help solve strategic challenges of nonprofits and social enterprises that focus on bridging the digital divide. In the case of the Inclusion Factory, this was exactly the type of help that was needed. The project’s core mission is to hire and work with people with intellectual disabilities. This comes a plethora of technical challenges. When working with people with special needs—while your clients happen to be top-of-mind German high-tech manufacturers—one cannot be too careful with material flow, operations, and quality control over what the end client receives. Given the project’s relatively small economic scale—fewer than 40 employees and under USD$0.5 million in annual turnover—and limited resources, affording an adequate resource planning system was not financially viable. Even if funding were possible, no market-ready solution would suit the very specific needs of the project. Engineering processes completed by people with intellectual disabilities require unique solutions. It was in this instance that SAP Shanghai deployed a team to support, bringing a very clear understanding that their engineering capacities would affect positive social change. Engineering processes completed by people with intellectual disabilities require unique solutions. It was in this instance that SAP Shanghai deployed a team to support, bringing a very clear understanding that their engineering capacities would affect positive social change. Beginning in August 2018, a series of informal meetings occurred between SAP experts and the Inclusion Factory project managers to discuss a partnership. When an appropriate scope of work was defined based on the skill sets of the consultants and organizational priorities, SAP dispatched a dedicated team of three business experts to the Factory for two weeks to analyze project needs and map out custom solutions. As a result, one minimum viable product (MVP) tool for tracking workers’ speed and productivity was launched in trial phase in November. Although the two-week engagement is past, numerous meetings with SAP have occurred in the time since and as of early 2019, the collaboration continues to bear fruit with SAP Shanghai delivering a stream of solutions to support the organization’s mission. Innovative social programs fostering self-confidence and consequently the real inclusion of disabled employees into society now complement the technical tools and aids supporting workers. In a business environment where efficiency and profits are dominating factors, the employment of workers with disabilities surely becomes attractive to organizations as soon as it turns into a positive contributor to the bottom line. The Inclusion Factory is proving exactly this through its multipliable proof of concept that breaks down barriers holding back millions of individuals across China and beyond from meaningful work and a path to becoming well-respected members of society. The impact goes far beyond Taicang or Shanghai. The Inclusion Factory, as a pilot project for inclusive employment, sets out trends and delivers best practices on a much wider geographical scale—with its first twin-project already running in the city of Zhuhai. The contribution of the SAP Shanghai team has the potential to positively impact the lives and futures of millions of people across China and the world. To that end, it is up to our collective efforts now, across all sectors of our social fabric, to embrace the potential of technological developments and break the taboos that impede people with disabilities from being productive members of society. The spectrum of disabilities is wide, yet equipped with the right mindset and the right engineering solutions, the “dis” in “disabilities” becomes nothing but a redundant prefix in an outdated word. The technology of the future is already here. It is only up to us to understand it, accept it, and put it in the right hands for the sake of a better and more inclusive tomorrow. This is already the story of a small team out of SAP Shanghai.